Tonight we join lovers of Israel worldwide as the solemnity of Yom Hazikaron (Memorial Day) transitions to the celebration of its 65th anniversary. Parties and barbecues will be going on all over Israel on Wednesday, as its residents take the day off to focus on flag waving and outdoor activities. Musical tributes to Israel are all over the internet, and we picked a few to share with you that we think represent the essence of the day. 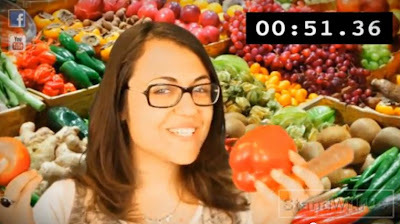 Stand With Us has produced a video called 65 Things We Love About Israel in 65 Seconds. But Israel is not just a place with great food, fun, and fashion. It is a country of amazing achievements, as shown in the video by its Ministry of Foreign Affairs. In 65 years it absorbed massive immigration, made the desert bloom, invented the solar water heater, built the land, helped other countries, won Nobel prizes, reunified Jerusalem, achieved peace with Egypt and Jordan, pioneered in the space industry, produced world class award-winning movies, and became a high-tech nation. A Joke to Start the Week: "Drugstore"
A Joke to Start the Week: "Generosity"